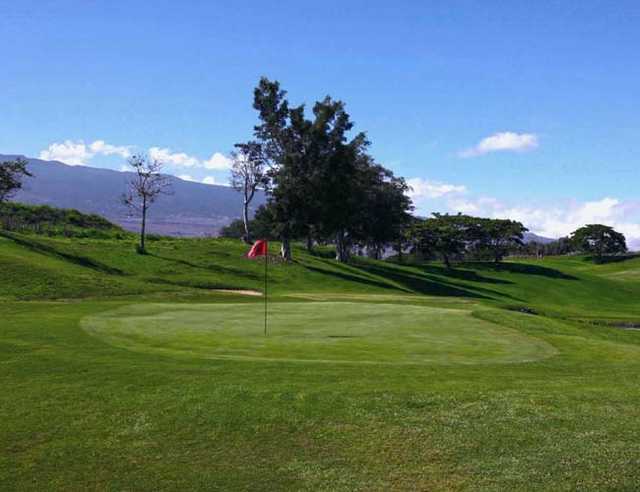 The 18-hole Makani Golf Club (formerly known as Big Island Country Club) in Kailua Kona, HI is a semi-private golf course that opened in 1997. 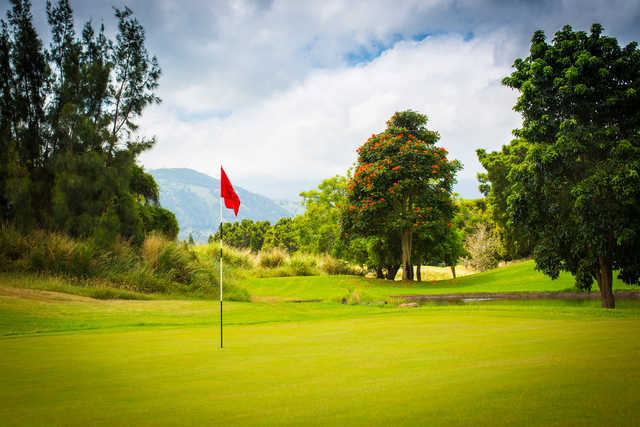 Makani Golf Club measures 7116 yards from the longest tees and has a slope rating of 142 and a 75.6 USGA rating. Today the greens are a little slow otherwise a wonderful course to play. If you are using their promotional Preferred Player Card please call to confirm the tee times available and the price. In my case the card quoted $55.00 for afternoon tee times. My 12:40 pm was disallowed. I was told that the price was for times after 1:00pm. I was charged the full rate $65.00..
My wife and I played the course on Sunday January 13th, the course was in very good shape. The layout and vistas on the course were at times breath taking and surprizing. There is quite a bit of wild life on the course, such as sheep, goats, wild turkeys and Nenes. It was very enjoyable and we will definitely play this course again. 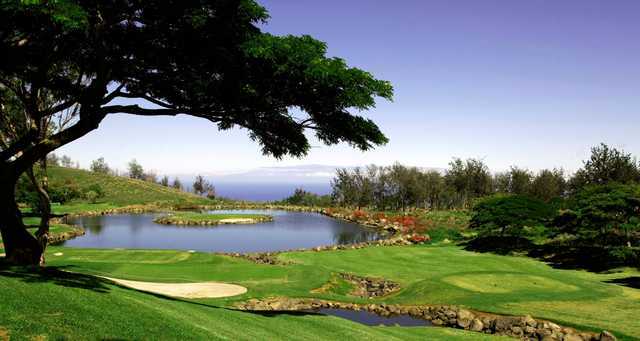 The new owner of Big Island CC has spent a great deal of money to bring the course back to a very good state. 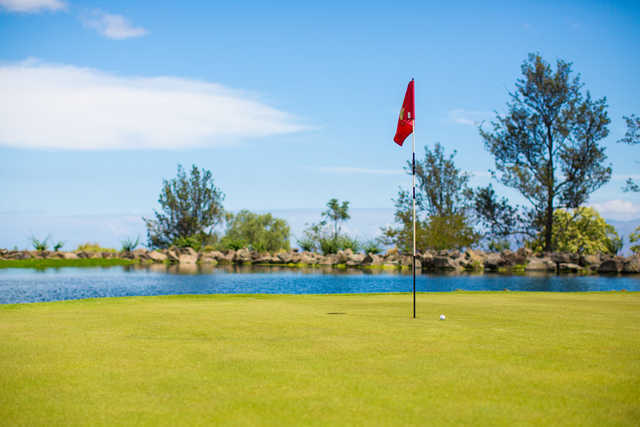 It is a highly recommended alternative to the lowland golf courses. It was a very nice course with some interesting and a couple of challenging holes. The clubs I rented were excellent shot lower with them then my own. My only beef was that it had a tiny clubhouse not worth having a drink in afterwards. Also the course wasn't as exotic as I would have hoped. In hindsight I should have picked an ocean side course. A very nice layout and the course conditions were very good except for some of the tee-boxes that were a little sparse. They are in the process of updating the course and it will be an even better layout when they are finished. The greens were in great condition and were very fast and true. I managed to stay out of the bunkers with the nice new white sugar sand. A very good value and worth the trip. A definite re-play for the next time I'm on the Big Island. 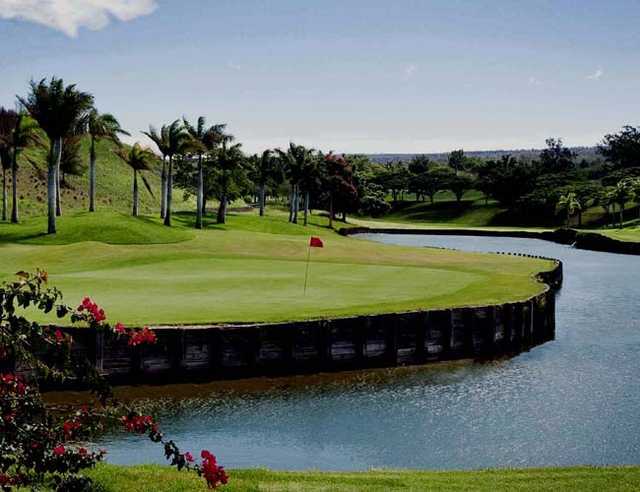 I could see the changes coming during my 2 week stay and playing Big Island CC. The course is going to be an outstanding challenge when the renovation is complete. A great and varied layout.